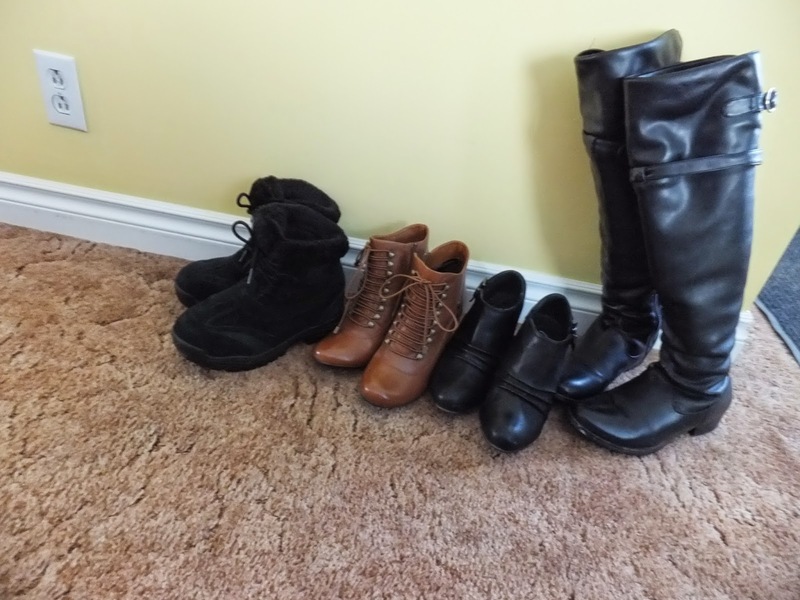 I went through my winter accessories and selected the ones that would become part of my winter capsule wardrobe. I kept two coats. 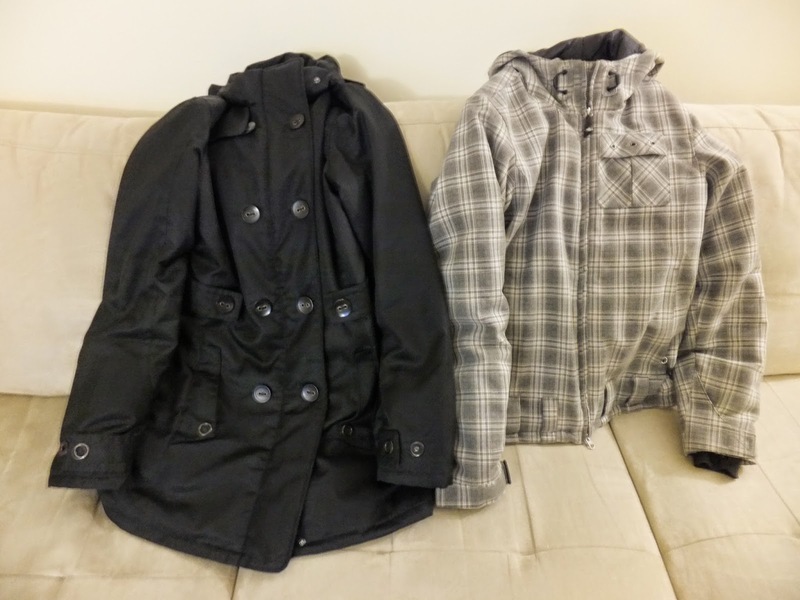 A long black coat and a short, grey, plaid coat. My black one is dressy enough for an occasion, but also warm. It has been cold here! Over the past weekend it was -30 degrees Celcius (-22 degrees Fahrenheit), therefore, function has to come before fashion (although I like the look of both jackets). 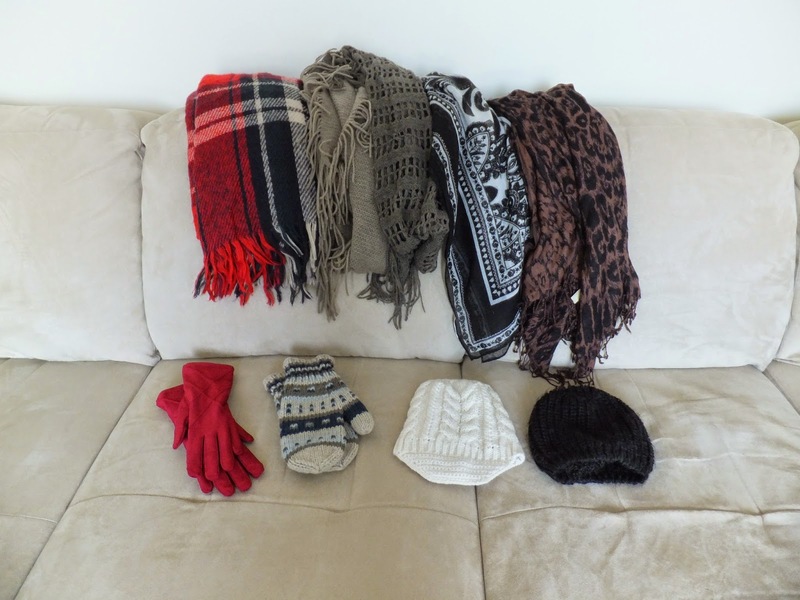 I have 4 pairs of boots, 4 scarves, 2 pairs of gloves, 1 pair of mitts, and 2 toques (Canadian lingo for winter hat). 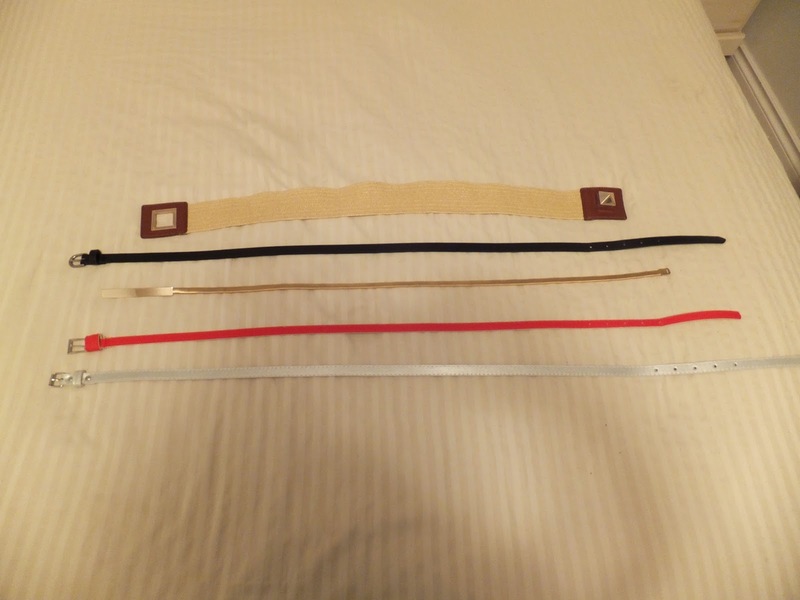 I also selected a few pieces of jewelry and 5 belts to wear with my winter wardrobes. 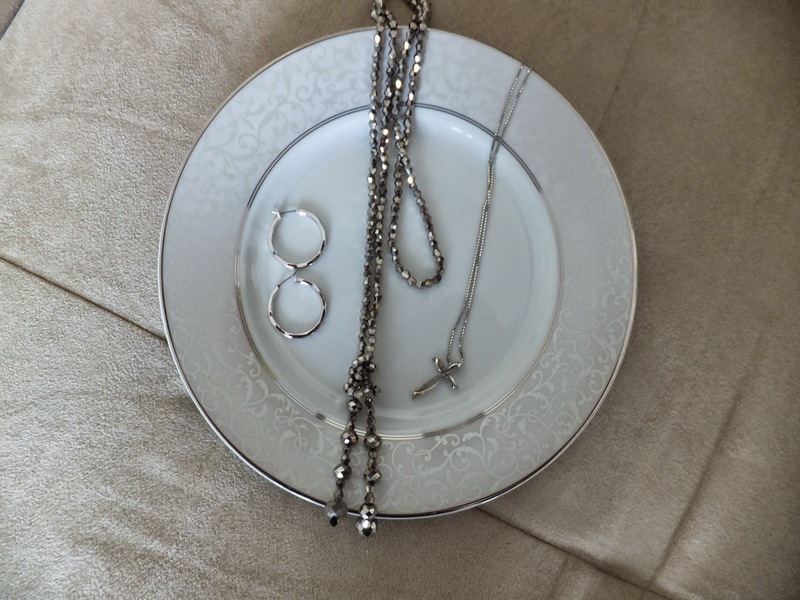 These pieces will be added to my regular jewelry (wedding ring set, E ring, and diamond stud earrings). I have ordered a replacement for my riding boots. They were fantastic, but they are 5 years old and my pregnant feet stretched them out last year! Since having my daughter last May, I feel like half of my brain left for an extended vacation! I also have a pair of black Isotoner gloves (just like the red ones above), but they are not in the picture above because I managed to misplace them over the weekend! Hopefully they turn up soon! I tried to pick sparkly jewelry for the holidays. I feel like the holidays simply beg for sparkle! 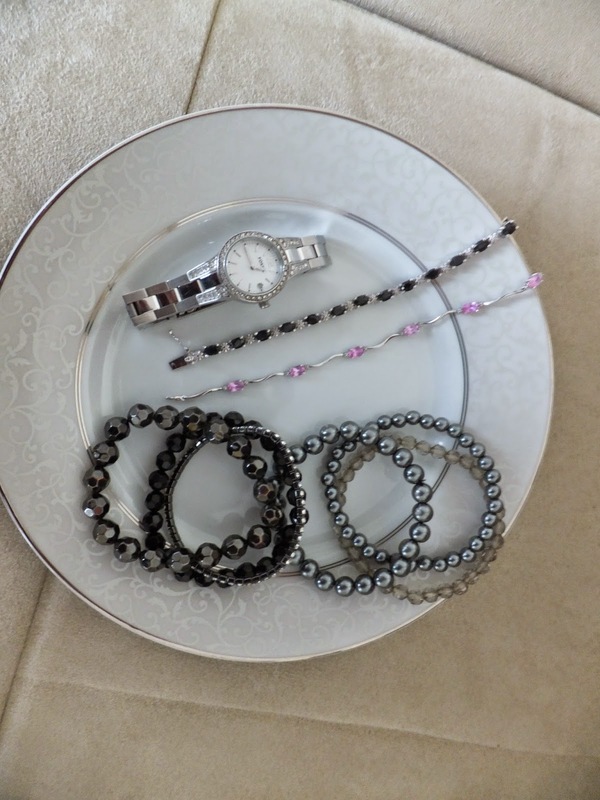 I also included some simple hoops, my Cross necklace, my Fossil watch and two dainty bracelets. These are the accessories that I will be sticking with for the Winter season. I certainly hope I planned well! On Wednesday I will reveal my first Winter outfit!